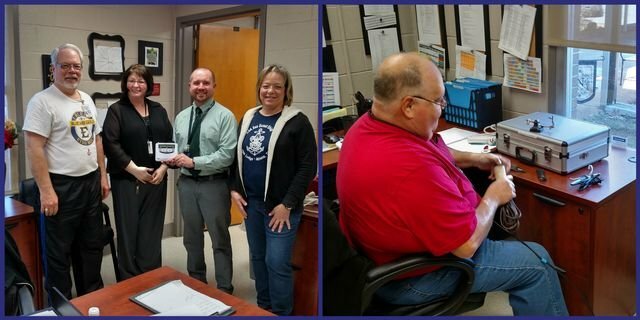 Thank you to McMinn County Emergency Communication Group (MCECF) for ensuring that Niota Elementary has a properly working weather radio! Pictured from left to right are: Phil Prichard- MCECG Board Chair, Donna Tallent- Assistant Pricipal, Jon Franks-Principal, Debbie Bare MCECG Vice Chair. and MCECG Board Member Scott Duckworth. Note: Mr. Duckworth also made the outside antenna.